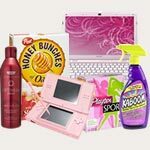 My name is Stacy and my blog HerSavings.com helps everyone save money with freebies, coupons & amazing deals. I find and then share with all of you the hottest new freebies/deals every day. You will have a feeling of pride when you find out just how much money you can and will save! I know I do! I have been blogging and running my own site for over 12 years now. I love what I do. A little more about me….I’m a mommy, wife, cook (well, sort of, I do try! I only caught the kitchen on fire twice! LOL! ), family accountant, personal maid & a bargain enthusiast. I am a mom of two adorable young gentlemen, ages 18 & 12! My youngest son was just recently diagnosed as being part of the Autism Spectrum, and as of last year, I am a homeschooling mom to my 12-year-old son. I did not imagine myself as a homeschool mom, but us mom’s do what we have to do when our babies are getting bullied and not being supported as they should be. My oldest is a Senior in public school, and I must admit, I am not sure if I am ready for him to leave the nest!! I better start buying kleenex now. My husband and myself have been married for a little over 20 years, and I consider myself to be the luckiest women to have such an amazing partner. 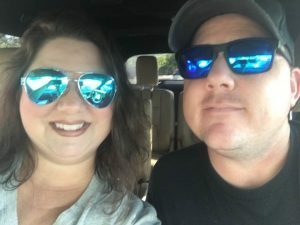 And I just want to say, thanks to my husband for being so wonderful and understanding when supper is late because I had to blog about an awesome deal. I love you Hunny. So, you could say that finding the best deals (I refuse to pay retail!!) has become an addiction for me…..but so worth it!! I can’t wait to get to know you all!